Vision impairment is often cited as being one of the top 10 most frequent causes of disability in our country. Statistics show that the majority of the population is using some form of visual aid such as glasses or contacts. 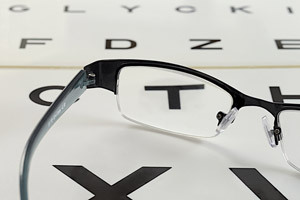 The costs of glasses and lenses can be quite exorbitant over the course of a long period. Vision insurance benefits packages offer discounted eye exams, prescription eyeglasses, contact lens exams, and even laser surgery through PRK and LASIK surgery facilities. Employee Benefits Agency features affordable and flexible employee paid vision coverage packages that may be ideal for your group. We would love to discuss the different options and tailor a package that is perfect for everyone. You may not know what you’ve been missing. Prepare to see things in a whole new light. With today’s volatile insurance industry the way it is, there are less and less vision coverage providers. No big deal, one might think. You could probably get away with not having it for a while anyway, saving money otherwise spent on the most likely cheap premiums. In fact, your vision is near perfect right now, and you’ll probably notice if/when it starts to decline, just in time to enroll in a plan. Even without vision insurance, typical services can’t cost that much, right? While none of this may be illogical, this mentality can quickly become a slippery slope. You could pretty much apply it to any form of insurance. Likewise, need for coverage is unpredictable. Sure, you may be able to sense that you should start seeking routine care within the next year, giving you enough time to enroll. However, things could take a turn for the worst when you least expect it. That’s what insurance is all about. Don’t chance it. Let’s talk vision today.